Mean spirited or selfish people ate the types of individuals who often take advantage of others. You can help to develop healthy traits in your children through the things that you expose them to. Your children will model your own behavior in their lives. If you want them to be kind and generous, you should try to be like that in your dealings with them, your partner and people outside the home. Of course, you should also teach your kids how to place boundaries in their lives. They should not leave themselves open to being taken advantage of by others. They should also learn how to be kind to themselves and be bighearted with themselves. Then, they will know how to be balanced in their dealings with other people. Families sometimes watch the news on television together. During this time, they often learn about families or communities that are affected. Talk with your kids about what is happening in their neighborhood and in the wider world. Think together about small or large ways in which your family can help. A child may have an extra shirt that they don’t need anymore. That can be given to someone else in another state who has lost all they have in a flood or another natural disaster. A book they have read and don’t need anymore can be donated to a library. Children should learn that they have many different gifts and talents that can be used to help others. For example, if a child likes pets and has a blog, they can write about their favorite animal shelter. This is one way of giving, since they raise awareness of the work that the shelter does. A child who is good at Mathematics may help their young sibling to study every now and again. They learn that the strong can help the weak in that way. They also learn that while they may be blessed in a particular way, others may not. Teach them that they have a responsibility to utilize their talents well. 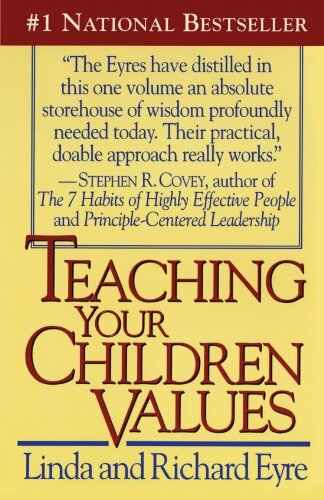 Thank you for these very important tips about teaching values to children.